Each personality type tends to be mistyped as others, sometimes because of their similarities and sometimes because people miss out on the finer details. We aren’t as simple as a few letters and so it is important to really dig deeper into understanding each personality type and what makes them tick. We have to look at things from different angles and consider the variables before we simply make a decision about someone’s personality. There are many different versions of each type, as well as layers and complexities which makes them who they are. 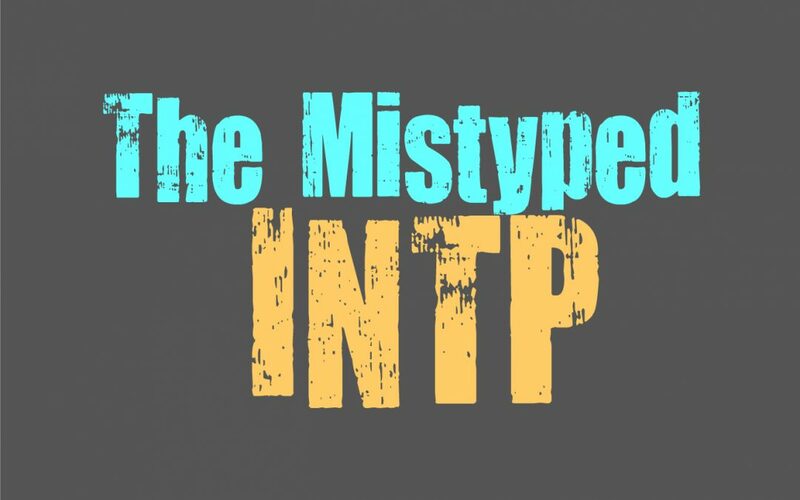 INTPs are often mistyped and confused for other types, some more commonly than others. INTPs are more likely to be mistyped as ISTPs, INTJs, ENTPs and occasionally INFPs. While some of these make more sense than others, it seems that they occur because of a major lack of understanding towards the types and what makes them the way they are. It often happens that people confuse the letters of each personality type, instead of learning about the function that comprise who they are. The letters can help identify simpler traits, but they aren’t what actually shows the more complex details of the personality type. You need to understand how their functions operate in order to recognize how they process and respond to information. INTPs can often be confused as INTJs, but in truth they don’t share one similar function. They do have certain traits which are similar to one another, and three of their letters are the same. It requires a little more digging to realize that these two types can easily be identified, but on the surface that can seem the same. INTJs are intellectual and introverted people, which are traits they do share with the INTP. Both types are drawn to information and are far more logical than they are emotional. They spend a lot of time inside of their own minds, and can sometimes be seen as cold from people who don’t know them well. While they share these common traits, INTPs and INTJs also have a lot of differences. In truth they do not process or respond to things the same way, since their functions stacks are entirely different. INTPs are mostly focused on their internal way of thinking or their introverted thinking. This causes them to have inner minds which run through facts and information they have gathered and then they process this even more through their extraverted intuition. Their extraverted intuition causes the INTP to focus on patterns and put them together in a way that comes to many different potential outcomes. Where the INTP focuses on patterns, the INTJ focuses much more on cold hard facts. INTJs use their introverted intuition, which subconsciously gathers information and gives them an intuitive grasp on the most likely path or outcomes. INTPs can also be confused as INFPs because they sometimes appear more emotional than they actually are. INTPs do have complex and strong emotions, but they process them much differently than the INFP. The fact that they care about their loved ones sometimes causes people to confuse them for INFPs. In truth INFPs and INTPs do have some traits in common, like their sense of extraverted intuition. INFPs process their ideas through a sense of patterns and have a strong sense of creativity, and these things are definitely similar to the INTP. They are still rather rather different, since the INFPs dominant function is their introverted feeling, which causes them to focus much more on emotions than on logic. A common reason for the confusion can be because of the dominant function, which is what presents itself most strongly in each personality type. INTPs share their dominant introverted thinking (Ti) with the ISTP, and this can cause them to exhibit very similar behaviors. They both focus strongly on information and think very much inside of their own minds. They can sometimes struggle to explain their thought process to others, since it is so much inside of their heads. INTPs and ISTPs are great problems solvers because of this, and are capable of coming to very practical and useful solutions. Where they differ is their auxiliary functions, and this is often the best way to tell them apart. The INTPs auxiliary function is their extraverted intuition, which focuses very much on patterns they observe from the information they gather. This ability to see so many different patterns, only draws the INTP inward even more. They can be extremely internalized people, focused on information and their own inner minds. For the ISTP their auxiliary function (Se) can cause them to focus more on the outside world, and makes them more intrigued by a sense of adventure. ISTPs are often very physically oriented people, who enjoy exploring the world around them. One of the easiest reasons for types to be confused, is because of their extroverted and introverted behaviors. INTPs can often be mistyped as ENTPs, or vice versa, since they both share the same functions just in a slightly different order. It can be challenging to really differentiate between the two, since they share so many similarities and very few differences. INTPs can sometimes behave more extroverted around others, especially when they want to connected with others. At the same time ENTPs can seem more introverted, since they do find themselves wanting to be alone often. The differences between INTPs and ENTPs can be subtle, but not when you get closer to them. While ENTPs need time alone, they need it much less than the INTP. INTPs can often recluse themselves for long periods of time, and will become a bit short-tempered if they are interrupted. They need this time or they become drained and overwhelmed, while ENTPs just enjoy the space to themselves. One is a major need, while the other is simply something that makes them feel more at ease and happy. ENTPs are also more focused on experiences, and will sometimes be seen jumping from one exciting thing to the next. INTPs often take less actions and few risks than the ENTP, which does often set them apart.